Connect with us on campus! 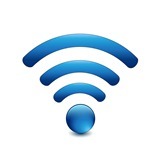 Several hotspots for free WiFi are located around all Hunter TAFE campuses including every library. To connect you will need your TAFE username and password and a wireless capable phone, tablet or laptop. If you don’t have your TAFE username and password yet, library staff can provide you with a temporary login. Library staff have detailed instructions on hand and can assist if you need to adjust your network settings to connect. Tip! To prevent problems connecting and for the best virus protection always make sure your device software is up to date on a personal network before attempting to connect to free WiFi. This entry was posted in Computers & Technology, Hints & Tips. Bookmark the permalink.